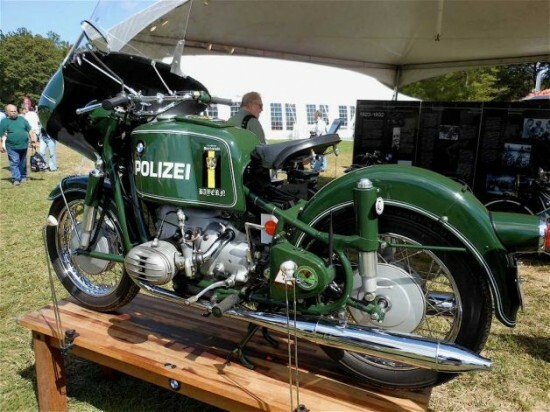 Now this might not be your Classic Sports bike, but there is a good chance that this 1975 BMW R60/6 Polizei bike pulled over a classic sports bike back in the day. Not that the R60/6 itself was a very sporty bike, but like most law abiding people, no mater what I may be riding, when I see the spinning lights of the law I would pull over. 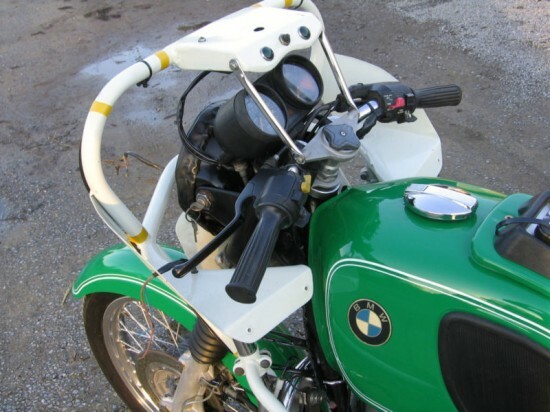 This ultra rare BMW has been in vintage motorcycle collection for over 20 years and is running and riding very well. It still has all the police-spec. 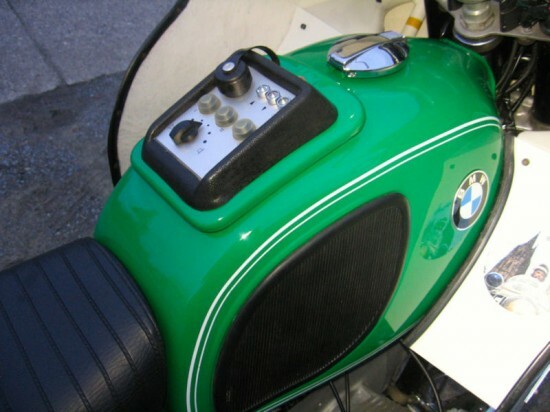 components fitted, like the very special “Gläser” police fairing, “Telefunken” radio-unit, blue-colored “Hella” flash-lights, dual tone “Bosch” police-horns and a pair of original leather BMW police side cases. 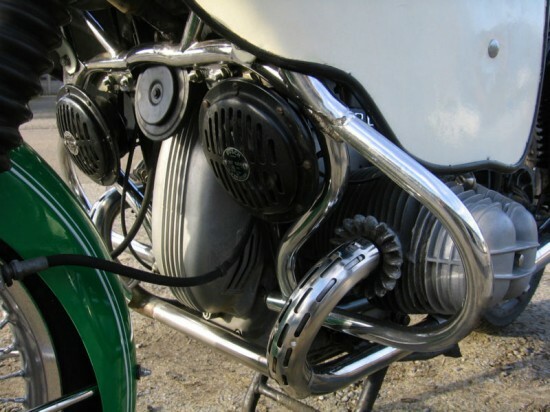 Furthermore, in order to protect the public, it has also half-closed model BMW front fender fitted and special heat-shields on the header-pipes. To get an idea of what you are getting the BMW R60/6 was a motorcycle offered from those nice people in Munich from 1973 until 1976. The / “slash” designation follows a long, and sometime confusing numbering system by BMW. To give you a historical listing, the /3 came before the /2, then came the /5 following strangely by the /6. 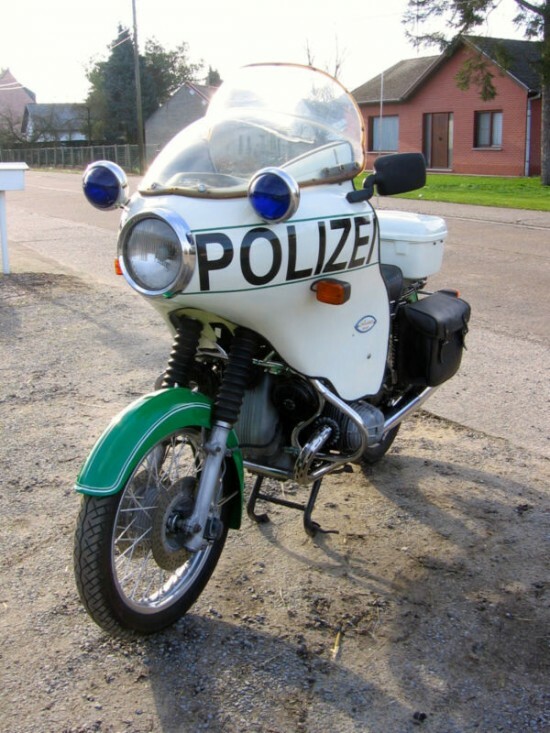 So this police bike has a 600cc Boxer motor with 26mm Bings and generated 40hp at 6400 rpm. Top speed specs from the factory was 103mph, that’s 167Kph if the police were chasing you in Europe. 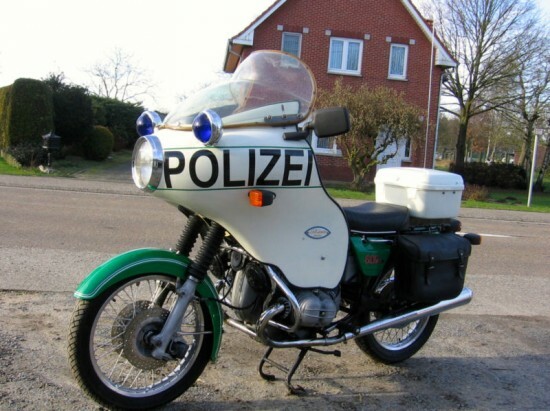 It is in the green/white color pattern for reason that in 1975 the German government ordered all police-vehicles to be in this very recognizable color. Also on the bike there are a couple of 1970’s motorcycle-police campaign stickers which are saying “Hobby & Beruf” (hobby & profession). 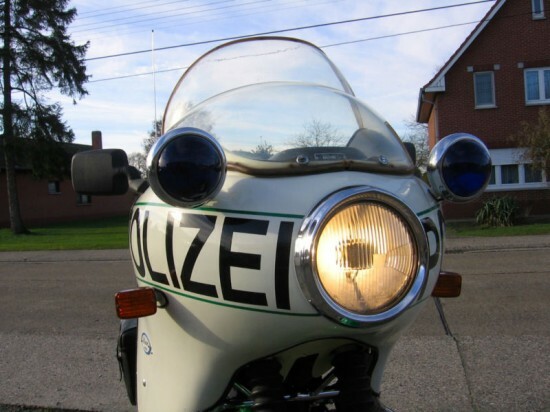 The Glaser fairing was and accessory that the buying public could find and was not limited to the police of the time. It would likely give you a little on the stock top speed, but because you could also get lowers to protect your legs, it can be seen more as a touring accessory. The leather bags seem a little out of place with the hard top box, so I would not be supprised if you saw other police bikes of the time with matching hard white bags.